It is always interesting the coincidences that pop up in reading. 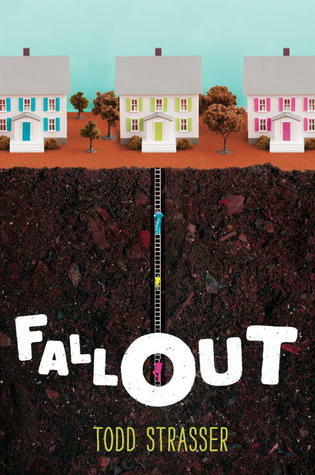 The most recent one to hit me was reading the middle grade Fallout by Todd Strasser set in 1962 when American school kids had bomb drills and families thought about bomb shelters and Is This Tomorrow by Caroline Leavitt, an adult novel that starts in 1956. Both stories tend toward the grim but give a good look at suburbia of the era. In the early 1960s my dad and uncle decided that we needed a bomb shelter in our house. It was supposed to be a big secret so they made a hatch in a closet and dropped down to the crawl space where they dug a hole that I remember as being about 10 X 10X 10. That was a lot of dirt to remove and I remember we kids distributing over our backyard bucket by bucket. We ended up moving to Okinawa before it was finished and forgot all about it until reading these books. In Strasser's book, the sirens go off and the reasons for secrecy on the part who have bomb shelters comes to the fore when Scott's family is mobbed when going to the shelter. Over the next weeks, in a tiny space meant for 4 people and never fully provisioned, a number of people fight for survival. To me, the book is way to grim for ten-year-olds although they are often far more resilient than adults. 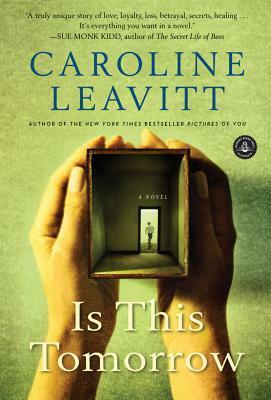 Leavitt's book about a divorcee with a young son tries to live the American dream but the facts that she is divorced and Jewish make her an outsider. Her son Lewis becomes friends with the only other fatherless kids in the neighborhood, Rose and Billy, a brother and sister. Billy goes missing when the boys are twelve having a profound effect on Lewis, his mother Ava, and Rose who moves away. Other books I can think of in which bomb shelters play an important role are Farnham's Freehold by Robert A. Heinlein and The Compound by S. A. Bodeen.